The cootie-catcher is an old-time paper toy that is both fun to play and educational, helping small children learn to spell basic colors and to count from one to eight. It can also be customized to your needs. Best of all, it doesn't cost anything, because it uses paper you already have around the house, a few crayons or markers, and your imagination. 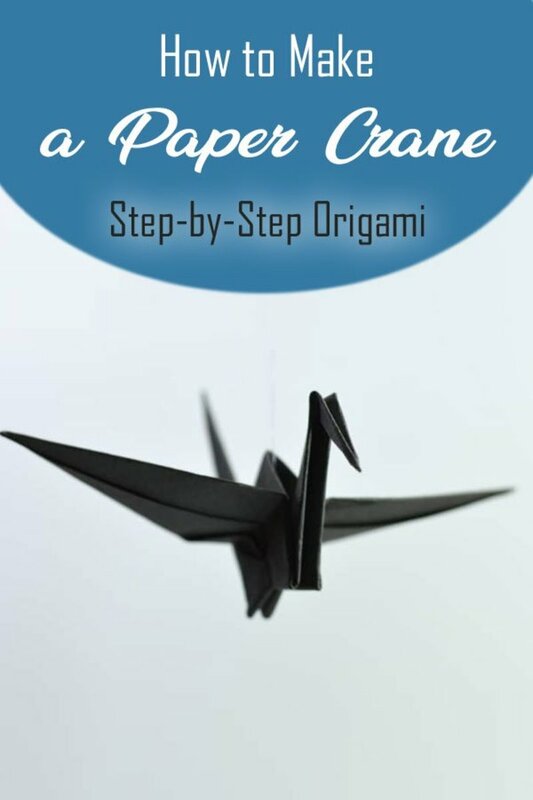 This article will show you how to make a cootie catcher and how to play the cootie catcher game. If you are beginning with an 8.5"x11" piece of paper, cut longer length so that you have an 8.5" square piece of paper. 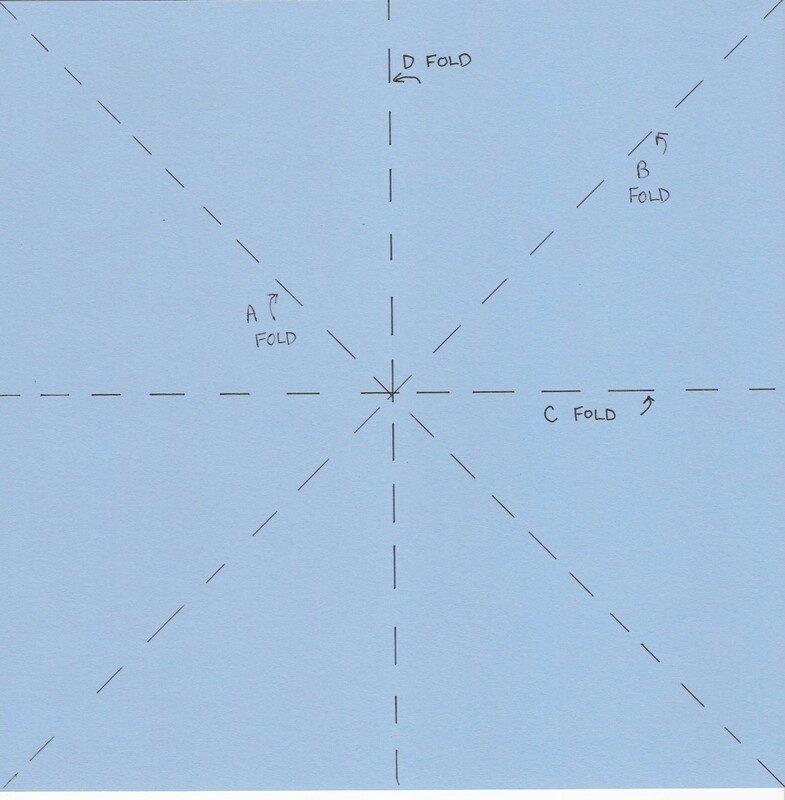 With a square piece of paper, fold "valley style" diagonally along line marked A in the folding diagram. Open paper up and fold diagonally again along line marked B and open paper. 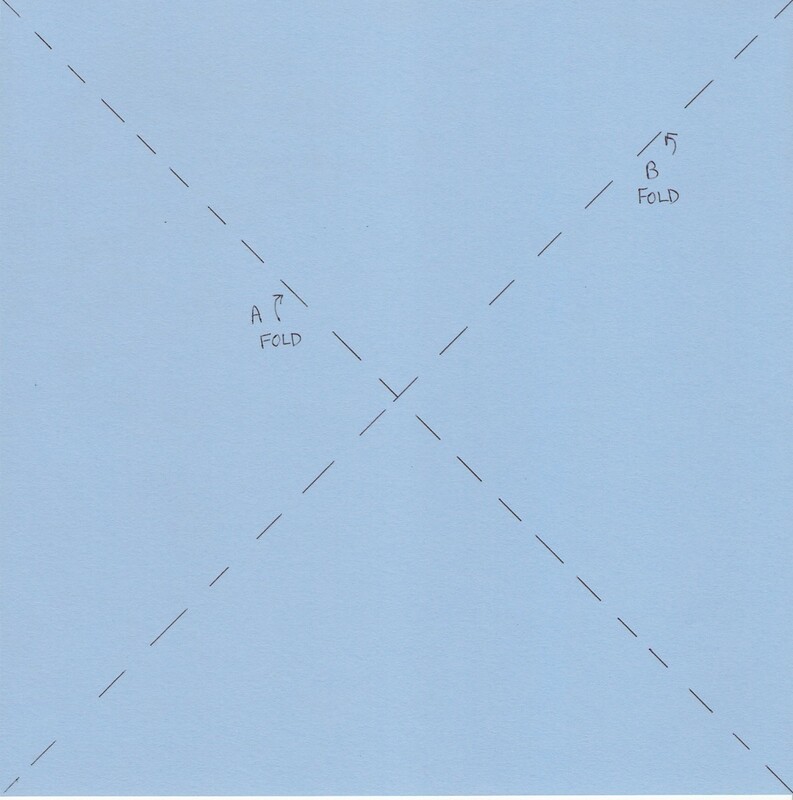 Next, with paper open, fold valley-style along the horizontal line marked C and open up paper. Turn paper 1/4 turn, and fold horizontally again along the line marked D. Open up paper. 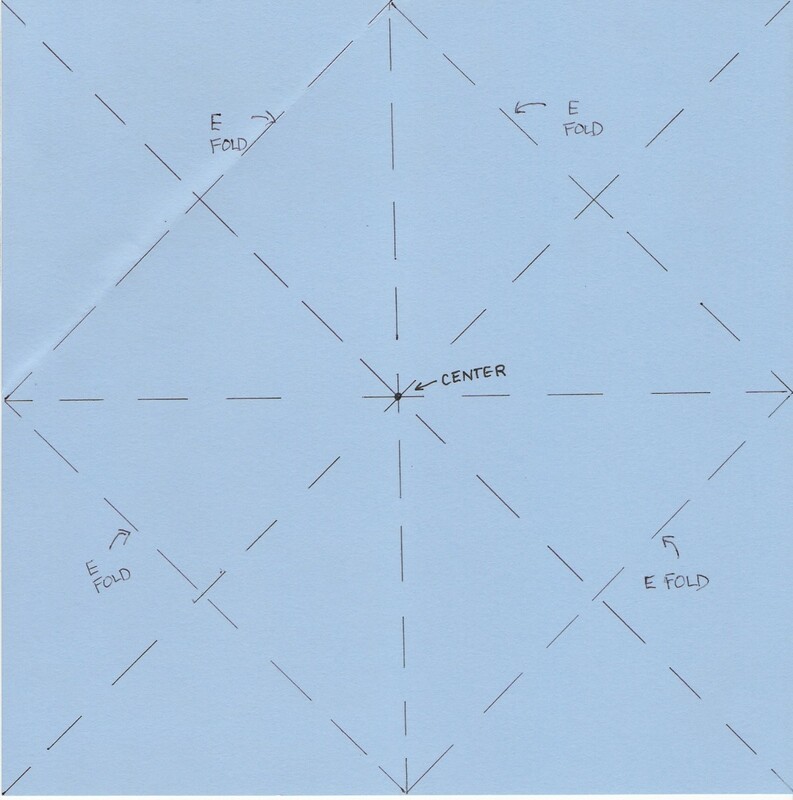 With the paper open, fold in each corner along the line marked E in the folding diagram so that the corner meets the center point. 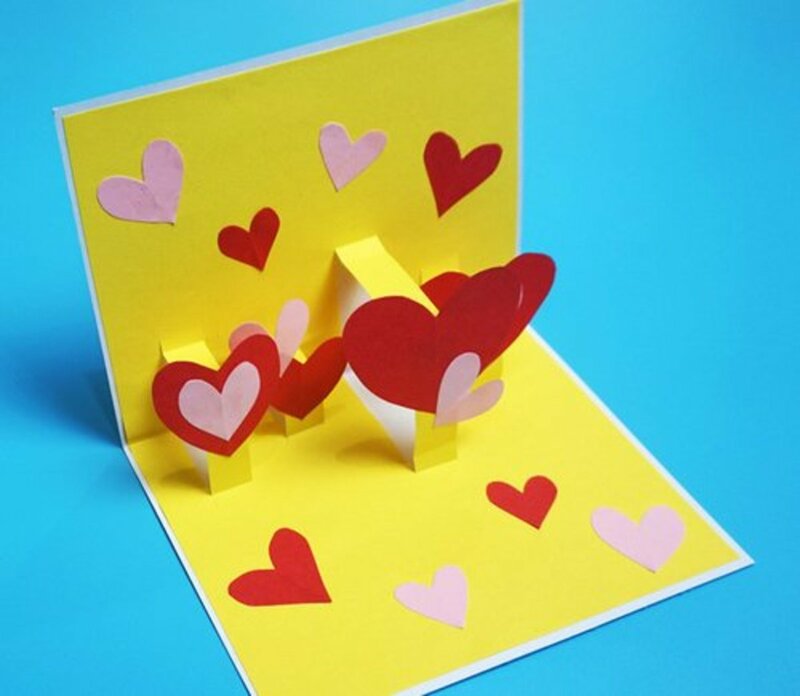 Leave all corners folded and flip the paper over to the other side. 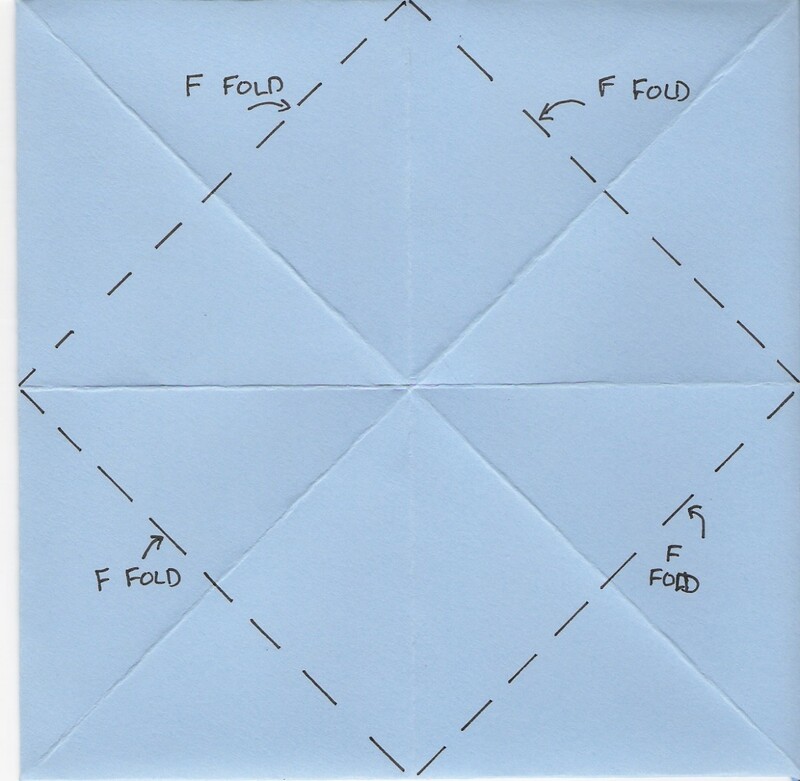 With paper front-side down, fold each corner valley-style along the lines marked F to center point, leaving them folded. If you started with an 8.5"x8.5" square piece of paper, you will now have a 4.25" square paper. 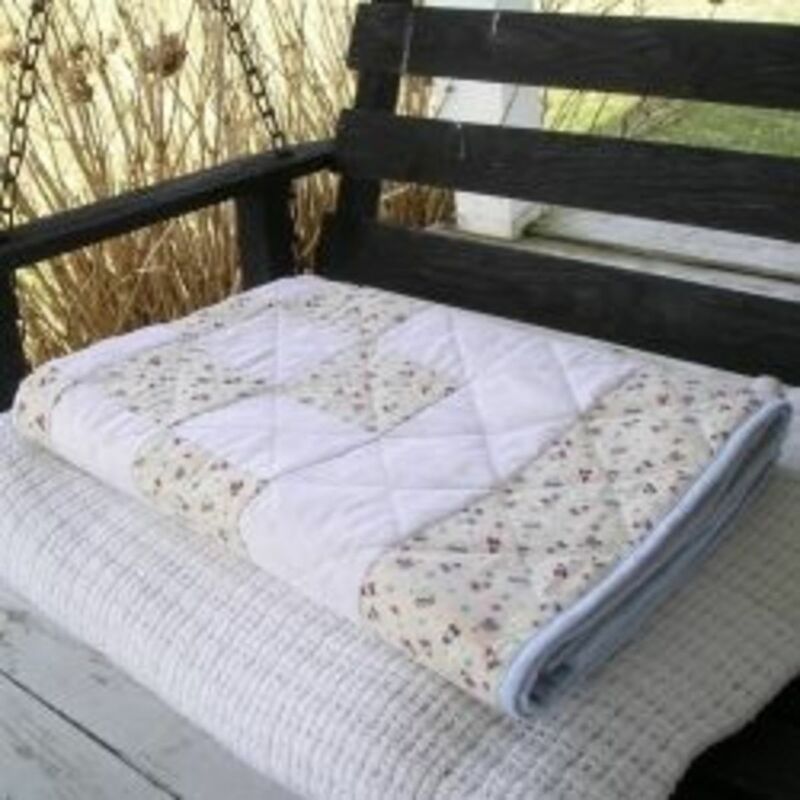 Take a look at each folded-down corner that you just made. Each corner has room for 2 numbers, one on each side. Write numbers 1-8, following the example in the photo. Notice the orientation of the numbers. When you write them this way, they are a bit easier for younger children to see them, but feel free to orient the numbers any way you wish. Also, note that the numbers are written sequentially around the square. Some parents prefer to write the numbers so that 1-2 are opposite 3-4, and 5-6 are opposite 7-8, (or 1,2,5,6,3,4,7,8 around the square.) 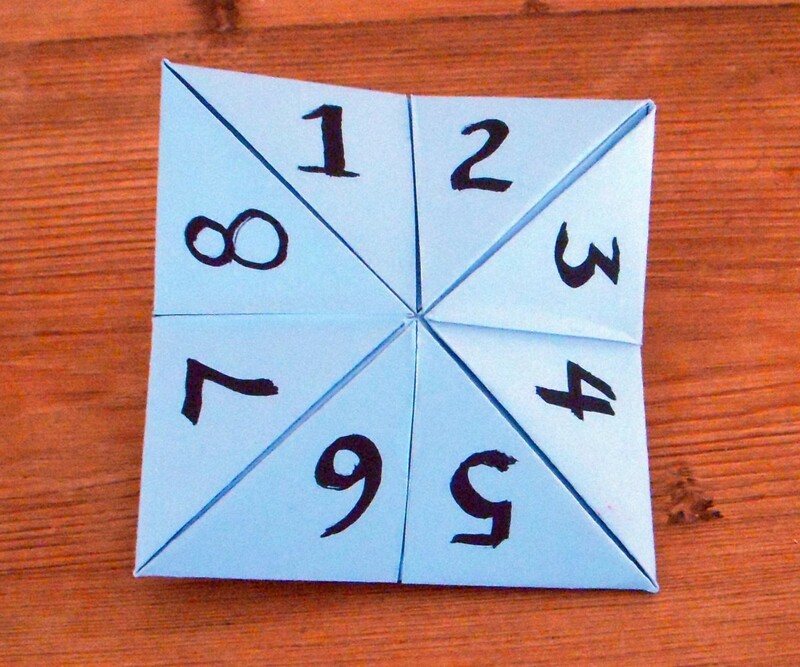 The reasoning for writing the numbers that way is that when the cootie catcher game is played, the child will see the numbers 1-4 together, and 5-8 together. It doesn't really matter, whatever suits you is the right way to do it! Now open up each numbered flap. Beneath each flap is space to write 2 fortunes, one for each number. 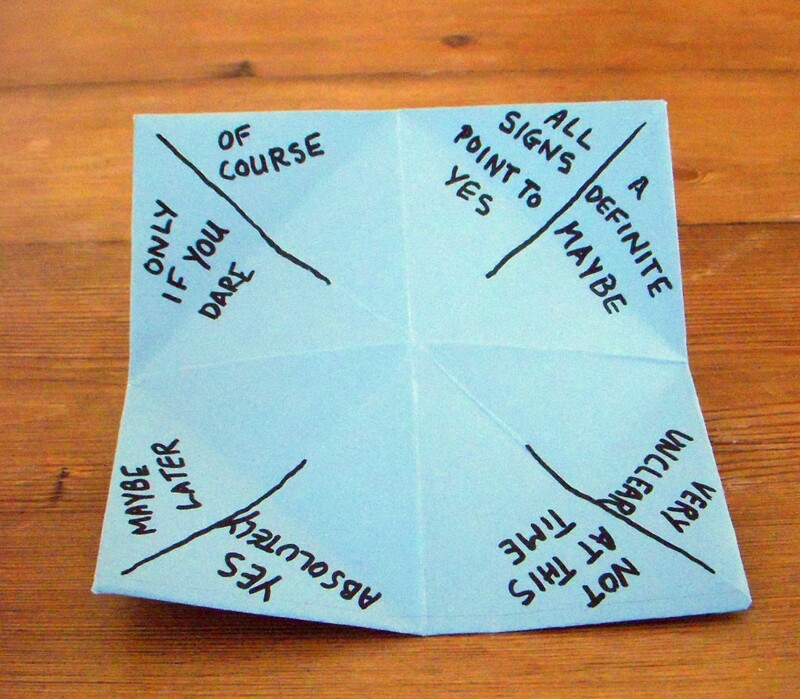 If you plan to play a "magic 8 ball" game with your cootie catcher, your fortunes should be answers to yes-no types of questions. 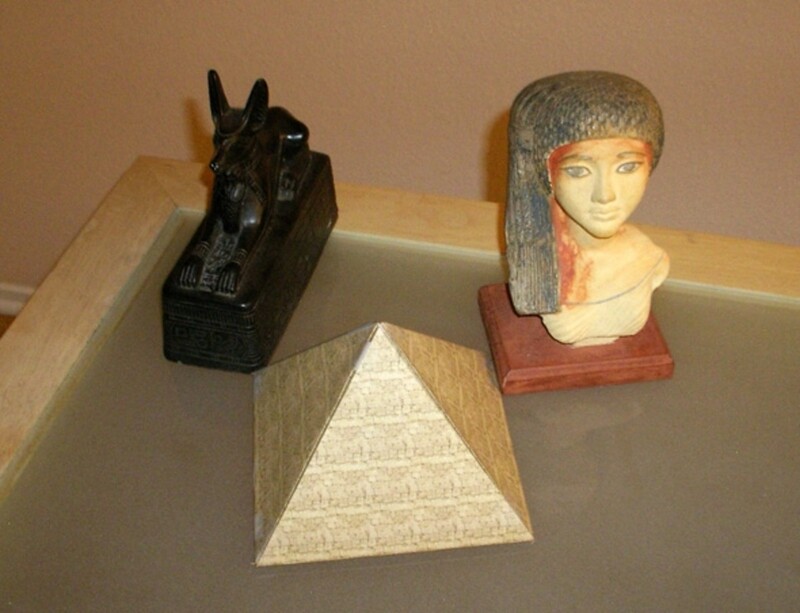 If you plan to play a "fortune teller" type of game, your fortunes should be a prediction about the player's future. Some examples might include: "You will take a long trip," or "Tomorrow will be your lucky day." If you plan to play a "mystery word" or "20 questions" type of game, your fortunes should be an instruction or clue that will help solve the mystery. Some examples might include: "It is yellow," "It is sour," and "It grows on a tree." After writing your fortunes, close the corners back up and flip the folded paper back to the front. 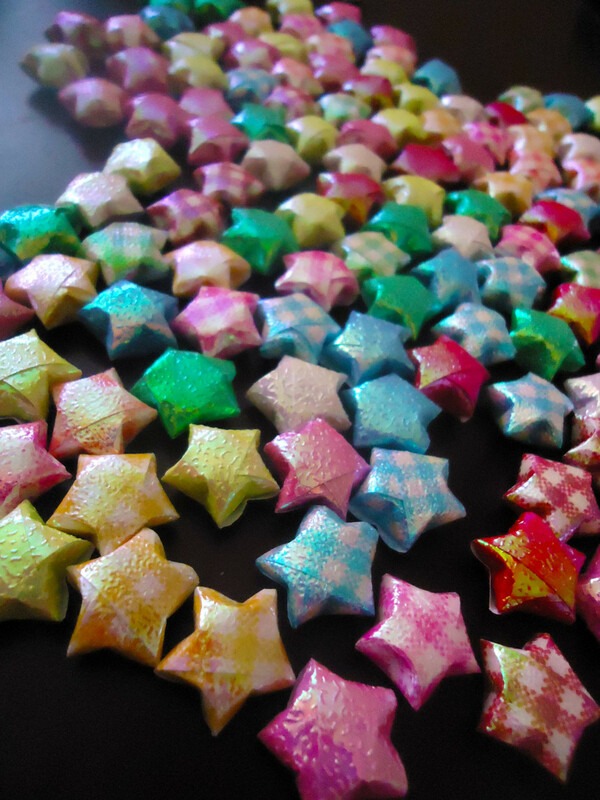 With your folded up paper flipped back to the front, make a different colored dot on each square. I used red, yellow, blue and black. Alternatively, you could use stickers of different items, or symbols. You want to choose something that is relatively easy to spell, as spelling the item, color or symbol is part of the cootie catcher game. When your cootie catcher is numbered, has its color dots and fortunes in place, it is ready to shape and to play with. To shape, carefully open up each pocket by pushing your finger into each flap, while simultaneously pushing against the folds and pushing each corner together. 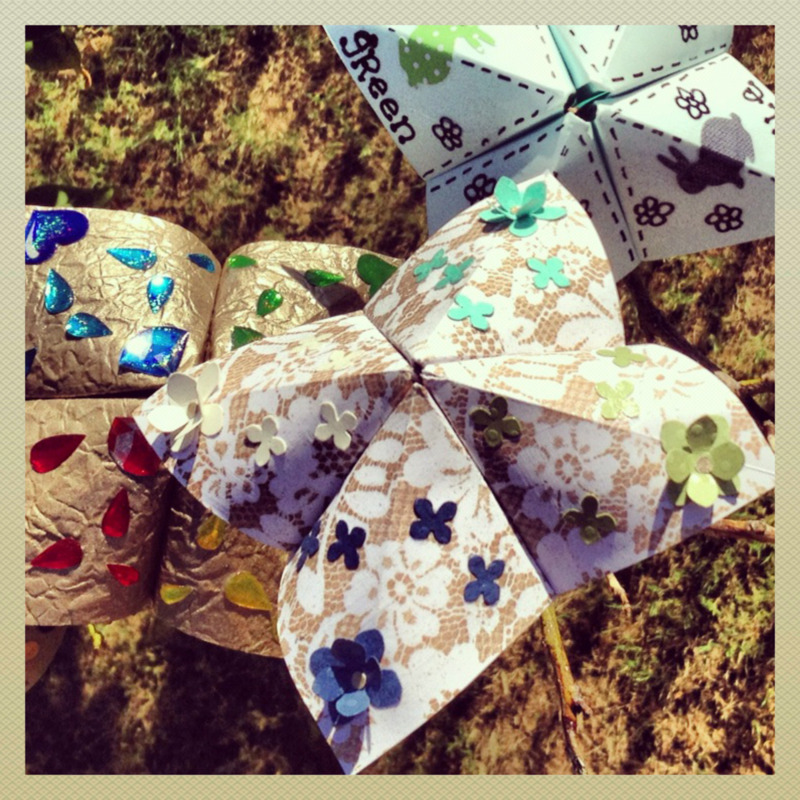 Once your cootie catcher has taken shape, it's time to play the cootie catcher game! 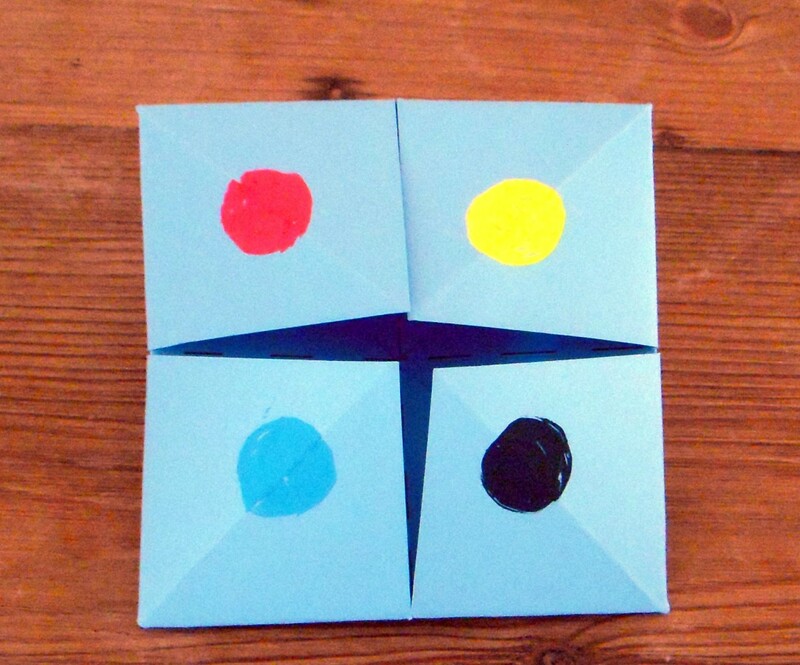 For basic cootie catcher play, one person is the "fortune teller" and one is the player. The fortune teller is the one who holds and manipulates the cootie catcher. 1. Fortune teller holds the cootie catcher with thumb and index finger of each hand in pockets of the toy. 2. Player picks one of the colors on the cootie catcher. 3. Fortune teller opens and closes the cootie catcher while spelling out the color. 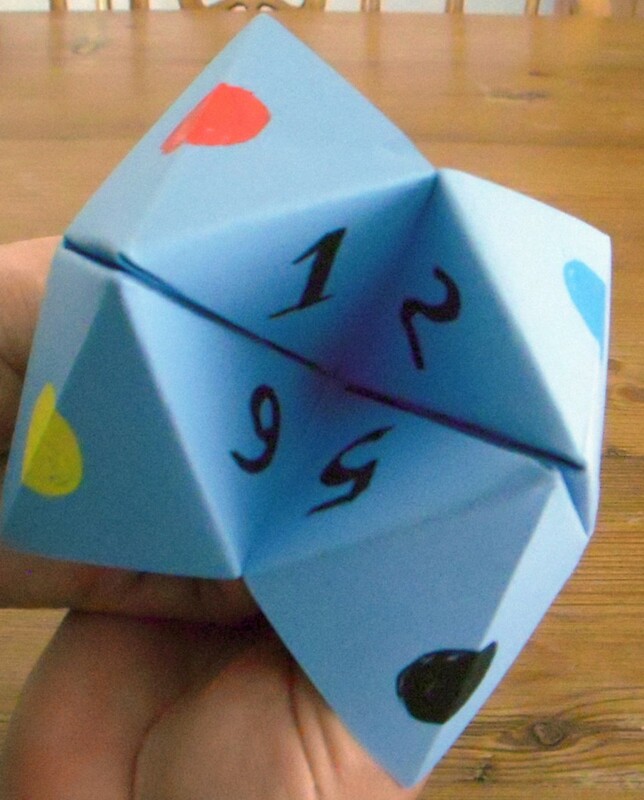 On the last letter of the color, the fortune teller leaves the cootie catcher open to show a set of numbers. 4. The player selects one of the displayed numbers. 5. 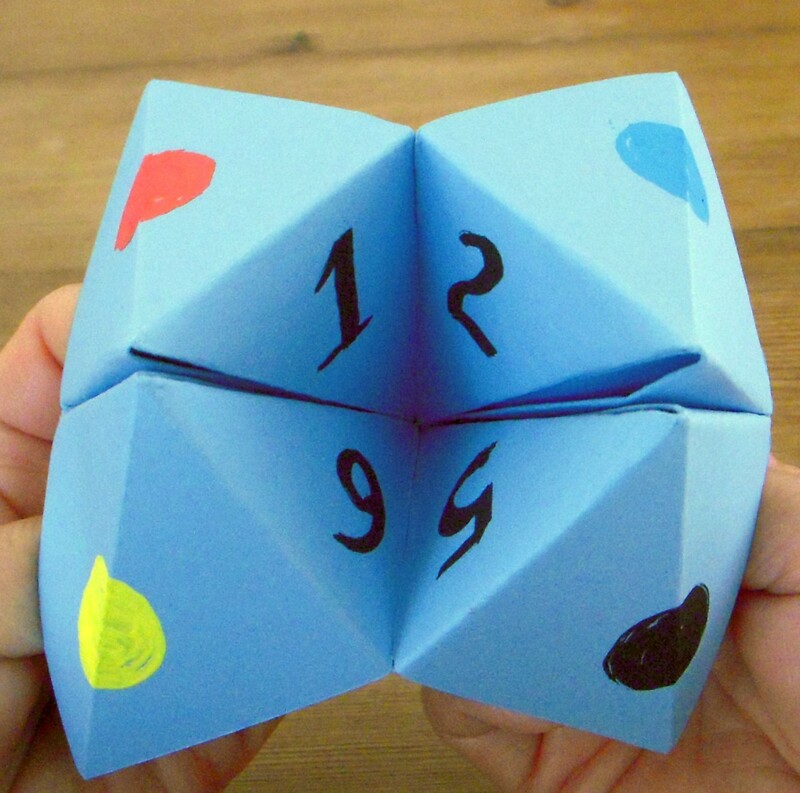 The fortune teller opens and closes the cootie catcher while counting out from one up to the number chosen. On the last number (the number chosen) the fortune teller leaves the cootie catcher open to show a set of numbers. 6. The player selects one of the displayed numbers. 7. The fortune teller opens the flap and reads the fortune underneath the chosen number. glad I found how to make the paper cootie game. Loved playing it with friends as a child. Going to show my grandchildren.. 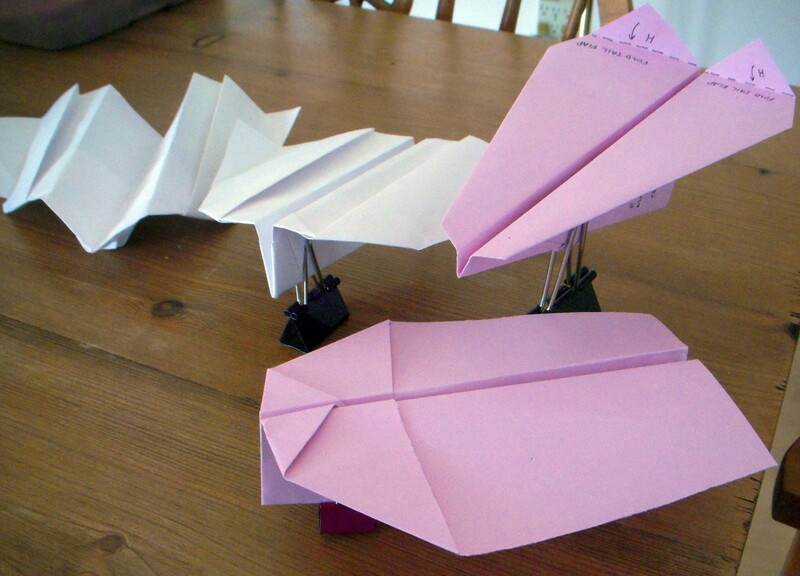 I remember making these at school, they were so much fun. I am pinning this to my learning fun board for a summer fun activity. Thank you for a great reminder of a fun craft. I have made and played with something like this in my childhood, but nothing was written on, the Cootie Catcher, as you call it. This is a very good idea and makes sense. Very nice hub with helpful pictures and clear instructions. Thanks for sharing! Voted up and pinning! Thanks for commenting! I hope you enjoy playing the cootie catcher game! Great hub. Your numerous images really help the readers understand the instructions as well as visualizing things for them. Your instructions were simple and easy to understand. And it's great how you didn't just stop with the instructions on how to make the paper cootie catcher. Instead, you also included instructions on how to play the game.